They're stretching, moving, and expanding what our society considers to be masculine. Bambi is unexpected, and once you get into a beat, it changes. It'll have you bobbing your head to bubble sounds and loud glitches. 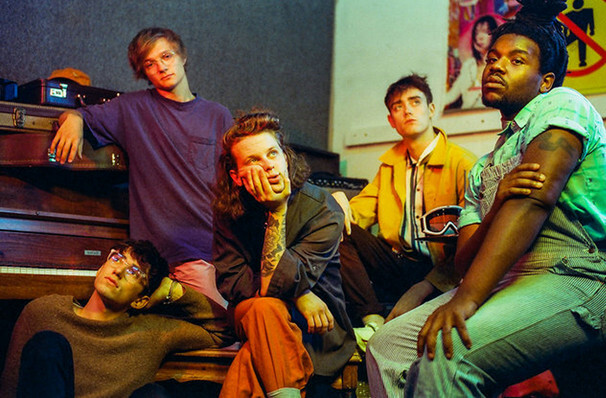 Mixing strains of garage rock, post punk, African-inflected rhythms and synth pop, Hippo Campus' melody driven music is often playful and quirky, but mixes in gut-punchingly honest lyrics and emotional depth for good measure. A rock band facing what it means to be masculine in the wake of the Me Too movement, the boundary breaking outfit pull the patriarchy apart and tackle toxic masculinity with insightful story-telling and undeniably catchy hooks, marking them a millenial band apart. Seen Hippo Campus? Loved it? Hated it? Sound good to you? 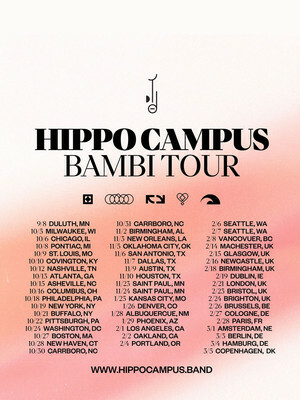 Share this page on social media and let your friends know about Hippo Campus at L'Astral. Please note: All prices are listed in US Dollars (USD). The term L'Astral and/or Hippo Campus as well as all associated graphics, logos, and/or other trademarks, tradenames or copyrights are the property of the L'Astral and/or Hippo Campus and are used herein for factual descriptive purposes only. We are in no way associated with or authorized by the L'Astral and/or Hippo Campus and neither that entity nor any of its affiliates have licensed or endorsed us to sell tickets, goods and or services in conjunction with their events.